It doesn't need to be said, but teaching through the Bible verse by verse is tough work. Unlike other methods of so-called discipleship that focus on "felt-needs" topics or hand-picked passages, expository parenting calls for a commitment to teaching the full counsel of God. This means that there is a lot of ground to cover, and a lot of study and preparation involved. To make the task more manageable, the following are three key resources that will serve you for a lifetime of biblical discipleship. In relying on them weekly, I affectionately think of them as "the forest," "the trees," and "the bee's knees." Preparing to teach through a book of the Bible can seem daunting at the outset, since one of the most difficult things is getting acquainted with it initially. Who wrote the book, and why? When was it written, and to whom? Where does it fall into redemptive history, and how? Getting answers to these kinds of "big picture" questions are needed to help you wrap your mind around the book as a whole, which is why you need a resource to help you see "the forest." To that end, a two-volume series by Mark Dever fits the bill. The first book of the series is entitled, The Message of the Old Testament: Promises Made. The second book is entitled, The Message of the New Testament: Promises Kept. In these two resources, each chapter is dedicated to an overview of an entire book of the Bible. 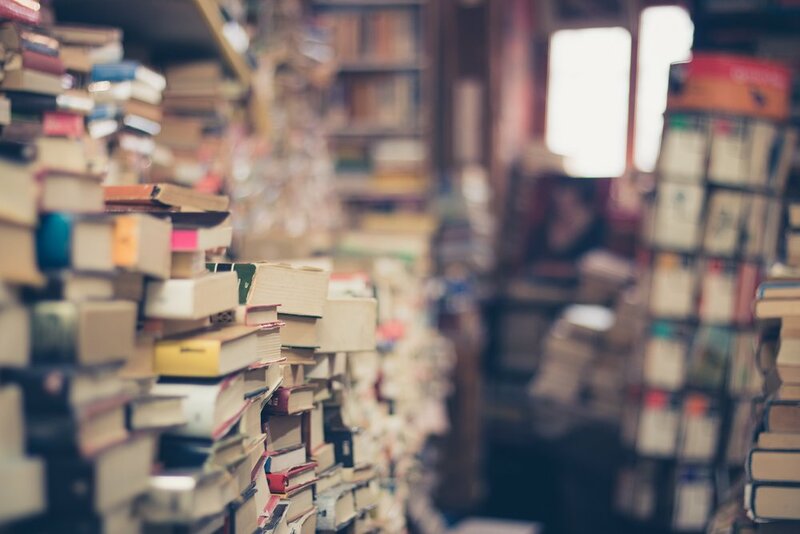 In any given chapter, the reader is led through the purpose of the book, the turning points and transitions, key passages, redemptive themes, theological implications, and application questions. Needless to say, it is a comprehensive overview (much more in-depth than the introductory material typically found in study Bibles). With masterful pithiness, Mark does an outstanding job capturing the overall thrust of the book in just a word or phrase, giving the reader an immediate handle on what he should expect to encounter and teach. Take, for example, the book of 1 Kings. Mark entitles this chapter, "1 Kings: Decline." That simple, that straightforward. With a single word, he captures the sentiment described in the book. And by identifying that from the outset, this allows you to stay on track to make sure you are teaching the text according to its authorial intent, and more importantly, in such a way as to point your child's eyes toward Christ. Rather than the typical "be wise like Solomon" messages that are found in many pulpits, a word like "decline" is sure to safeguard you (and your child) from moralistic teaching. Instead, you will remember to take that thematic phrase and drive it straight through the text, clinging to it as you work your way verse by verse. Look at how even Solomon, the wisest of the wise, was a fallen sinner in need of a Savior. Look at the fallout caused by idolatry. Praise God that Jesus is a better King, a sinless King, the One in whom are all the riches of wisdom and knowledge! Finally, if you know anything about Dever, you know that he has an affinity for the Socratic method, and it shines through in these books. Typically, after a few paragraphs of explanation, he will interject with probing, introspective questions that allow you as the reader to reflect on the redemptive ramifications of the text. Those questions are so helpful not only for your spiritual life, but also for the spiritual life of your children, especially as you reformulate and condense those questions into age-appropriate questions for them. The Lord Jesus Christ is our hope. My Christian friend, what are you relying on? What are you trusting in? I hope that you realize your virtues sink in comparison with your sins. The wrong thing, whether done poorly or well, is still the wrong thing. No set of talents or virtues can make up for rebelling against God. They did not for Jeroboam—who personally received the promises of God—and they won't for you. Only Christ will do for you what you need. Do you see how powerful this is? You can take that and rework it for your child. Son, Jesus Christ is your only hope. What are you relying on to wash away your sins? Even your best behavior cannot do it. And no amount of church attendance can do it. The fact that your mom and dad have been saved does not mean that you automatically are. Know that you cannot earn forgiveness based on your own standards, or what you think "makes sense." That kind of man-made religion didn't work for Jeroboam, and neither will it for you. Jesus sets the terms of forgiveness—repentance and faith—believing in Him and what He accomplished through His perfect life, substitutionary death, and triumphant resurrection. He is your only hope. Overall, this two-part series does a phenomenal job at clearing away any initial fog, giving you the confidence needed to dive into the book and work through it with your kids. You'll know where the book begins, how it ends, how it moves from beginning to end, and how to keep your little disciple's eyes focused on Christ along the way. Seeing each book of the Bible as a whole is vitally important, but it's not enough. After all, expository parenting is about teaching children the Bible verse by verse, not teaching it in an artificially condensed summary. This means that you'll more than likely need help understanding individual passages that are difficult or obscure. You'll need a resource to help you see "the trees." And when it comes to this, no one does it better than John MacArthur. Although his New Testament commentary series is worth every penny (and highly recommended! ), MacArthur's single-volume commentary covering the whole Bible is even more foundational. Despite the fact that it doesn't comment on every single verse, The MacArthur Bible Commentary does do a great job identifying the troublesome passages that will inevitably pique your curiosity. And as one who has preached himself straight into the truth over multiple decades of verse-by-verse expository preaching, John MacArthur has a proven track record of faithful and accurate interpretation that can be trusted. In fact, I'd go so far as to say that in terms of well-known preachers in our current day, John MacArthur is the most theologically accurate. As a five-point Calvinist, he has the correct soteriology. As a Cessationist, he has the correct pneumatology. And as a Futuristic Premillennialist, he has the correct eschatology. MacArthur has faithfully delivered this doctrinal trifecta in his own pulpit ministry, making his commentary a reliable resource. There is no one else you want in your corner when it comes to interpreting a given passage of Scripture. For example, looking again at the book of 1 Kings, we see an odd expression made by Rehoboam (Solomon's son): "Thus you shall say to this people who spoke to you, saying, ‘Your father made our yoke heavy, now you make it lighter for us!’ But you shall speak to them, ‘My little finger is thicker than my father’s loins!'" (1 Kings 12:10). My little finger is thicker than my father's loins? What in the world does that mean? A proverbial manner of saying he was going to come at them with greater force than Solomon had exhibited (vv. 11-14). Straight to the point, MacArthur's commentary doesn't waste time in conjecture or speculation, but instead cuts to the heart of the matter, getting you back on your way in verse by verse study. Thus, as you prepare to teach through a passage of the Bible and come across verses that trip you up (and would therefore confuse your kids as well), consult The MacArthur Bible Commentary. Rather than shrugging your shoulders in confusion, this will help you become an approved workman who rightly handles the Word. When it comes to teaching your children God's Word, the final piece to the puzzle (and it often is puzzling) has to do with application. Once you've understood the redemptive theme in a book of the Bible, and worked your way through it verse by verse, it's important to leave your children with helpful ways to apply what they've learned. That's not to say you need to give them a list of religious duties—on the contrary, the last thing your children need heaped upon them is "checklist Christianity." But it is to say that giving your children tangible ways to set their minds upon what they've learned is an important part of discipleship. After all, The Great Commission in Matthew 28:18-20 doesn't say that disciples should be taught all that Christ commanded (although that's implied), but that disciples should be taught to obey all that Christ commanded. And when it comes to application geared toward children, Family Worship Bible Guide edited by Joel Beeke really is "the bee's knees"—a superb resource that will empower you to draw out the implications of Scripture for godly living. When it comes to the doctrine of Tota Scriptura (that all Scripture is necessary and useful for Christian living), many of us profess that we believe it, but few of us actually live it out. Not only do many people set aside the Old Testament in favor of the New, but even within the New Testament it seems that many believers are content to study only the Gospels (especially the Sermon on the Mount in Matthew) and a smattering of epistles, to the exclusion of the rest of the Bible. In contrast with that sub-standard approach to the Christian life, Presbyterians like Joel Beeke not only profess a commitment to Tota Scriptura, but demonstrate it with a book like this that contains application for every chapter of the Bible. That's right—you can quickly thumb through it and see page after page of application-based comments covering the entire Bible. Rehoboam listened to foolish friends, but Jeroboam listened to himself, which is even more dangerous. He devised a course of action in his own heart (v. 33) that put the newly formed kingdom on the downward slope from its inauguration. The heart is deceitful above all things, leading us to depart from the Lord (Jer. 17:5, 9). The plan he devised was logical in its policy and apparently successful in its effect, but it was neither right nor wise. God had given him the condition for establishing the kingdom: obedience (1 Kings 11:38). Following God's ways may seem to jeopardize our future, but it actually secures it. Those who have read Expository Parenting know that there is a great danger in teaching application without first preaching Christ crucified, thus it should be recognized that, in general, the application points in Family Worship Bible Guide ought to be given only after the redemptive themes of the text are explained. In other words, if you view Family Worship Bible Guide as a quick-fix substitute for your own in-depth study, you're likely to do nothing but moralize your child, creating a "Christian Pharisee" of sorts. That danger aside, this book is an invaluable tool for your discipleship in the home (and as an added bonus, the introduction to it is incredibly practical, reinforcing many of the principles found in Expository Parenting about how to carry out your Bible time at home). Ultimately, if we really believe that all Scripture is useful "for teaching, for reproof, for correction, for training in righteousness" (2 Tim. 3:16), then we should be able to do just that from anywhere in the Bible. This book will help. Certainly, there a number of ways to implement these resources in your own personal study, but as you think about how you'd like to use them, here's a straightforward way that might help you get started. As you prepare to teach through a book of the Bible, first read through it in its entirety (or a large portion of it if it's a longer book) so that you are familiar with it as a whole. Afterward, read through either The Message of the Old Testament: Promises Made or The Message of the New Testament: Promises Kept which will help you formulate your overall understanding. Then, over the next several weeks that you are teaching your children, consult The MacArthur Bible Commentary along the way (studying through each chapter before teaching your kids). 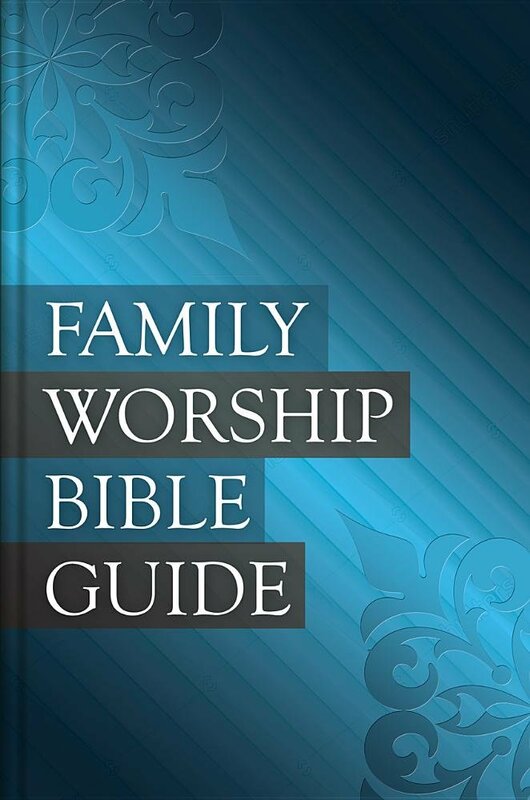 Finally, each day that you are teaching a particular chapter or passage to your kids, check the Family Worship Bible Guide just prior to your time of instruction so that you have straightforward application points to bring to the table. So there you have it. These three resources, "the forest," "the trees," and "the bee's knees," represent books that will serve you for a lifetime of discipleship, and you would do well to invest in them. May the Lord bless your efforts as you deliver the full counsel of God to your children. Mark Dever, The Message of the Old Testament: Promises Made (Wheaton, IL: Crossway, 2006), 302. John MacArthur, The MacArthur Bible Commentary (Nashville, TN: Thomas Nelson, Inc., 2005), 411. Joel Beeke, ed., Family Worship Bible Guide (Grand Rapids, MI: Reformation Heritage Books, 2016), 222-223.